Cut the grapefruit into small cubes. 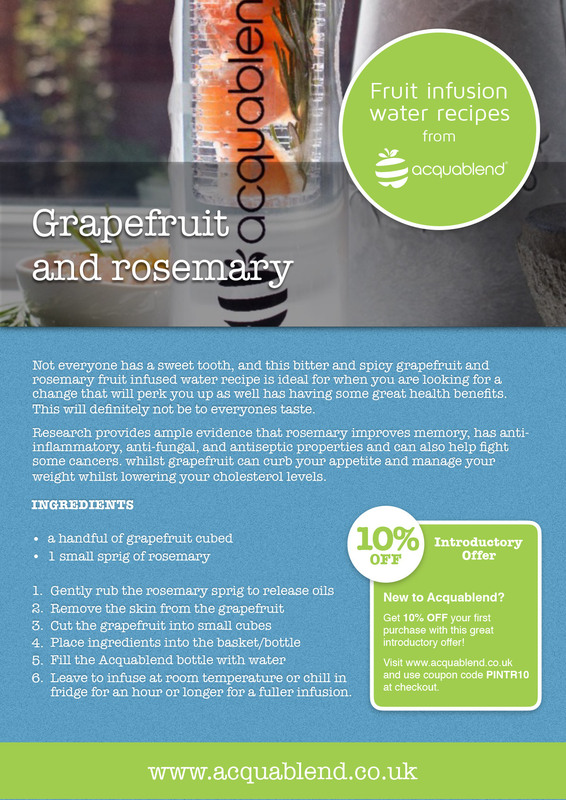 Not everyone has a sweet tooth, and this bitter and spicy grapefruit and rosemary fruit infused water recipe is ideal for when you are looking for a change that will perk you up as well has having some great health benefits. This will definitely not be to everyones taste. Research provides ample evidence that rosemary improves memory, has anti-inflammatory, anti-fungal, and antiseptic properties and can also help fight some cancers. whilst grapefruit can curb your appetite and manage your weight whilst lowering your cholesterol levels.